I can’t even tell you how busy life has been. It’s been B-U-S-Y. With work kicked up into high (height of my selling season at the moment), getting the house ready, and just general life stuff getting in the way, all I can say is sorry for only just now posing updates. It’s already March and my last post was JANUARY! What’s changed? Where do I begin? 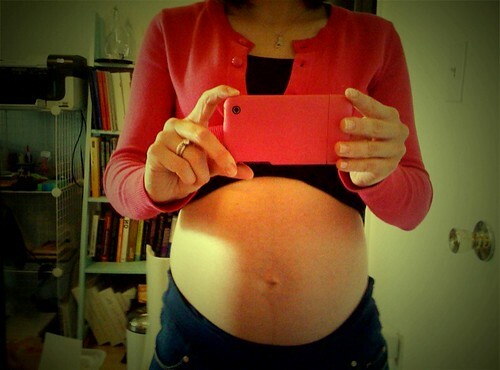 Baby news? Well, little peep is really no longer little. S/He reminds me of it every single day. The kicks, punches, and rolls have gotten so much stronger. I’ve doubled over a few times due to them. S/He usually moves around soon after I eat something, and sometimes (I think) when s/he is hungry. 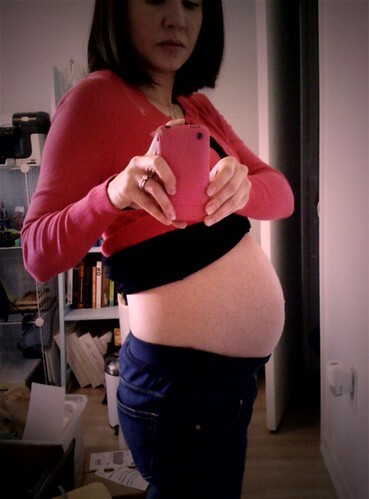 Baby is also now big enough that you can actually see my stomach move and roll. 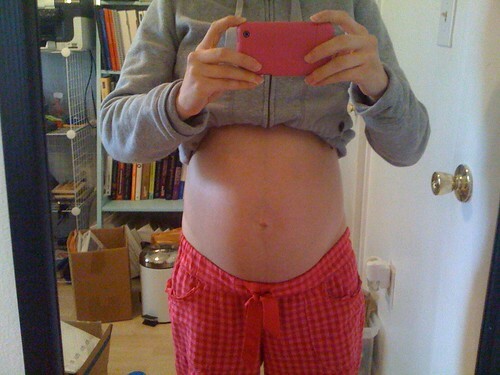 Baby likes to stay on my right side, so every so often my stomach looks a bit wonky with all the weight there. I also would say I’ve gotten to the point of being extremely uncomfortable. 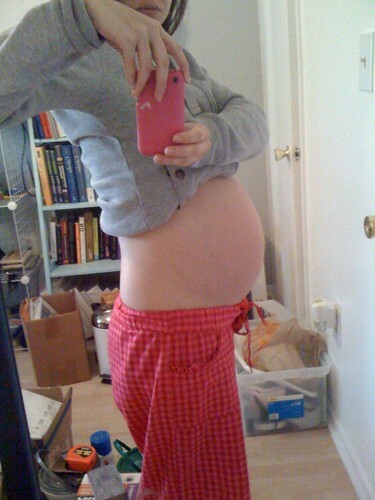 I’m starting to feel the Braxton Hicks contractions, which are no fun what so ever. Also, sleeping is nearly impossible. I’m lucky to sleep two hours straight before I wake up with cramps, aches, anxiety, stress, etc. Before I go on, here are the pics of the last six weeks. 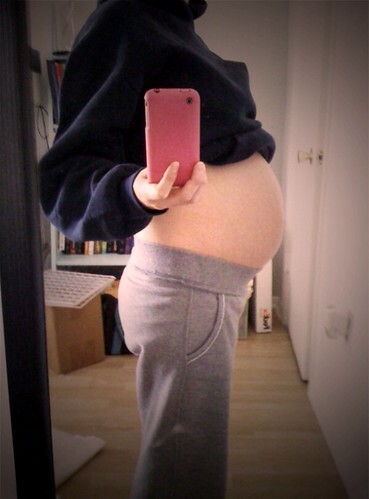 According to the books, the baby should be weighing in at over 3 pounds and about 18 inches long. Baby’s brain is continuing to develop, and s/he is starting to create patterns (sleep, eat, etc.). I’m doing good too. Our doctor’s appointments are now getting closer together. We go in another three weeks, and after that it’ll be two. Then the next few I’ll be going weekly. My weight is right where it is supposed to be- a whopping 21 pounds. I’m sure I’ll be gaining more since I am a lot hungrier lately. Baby must be growing! 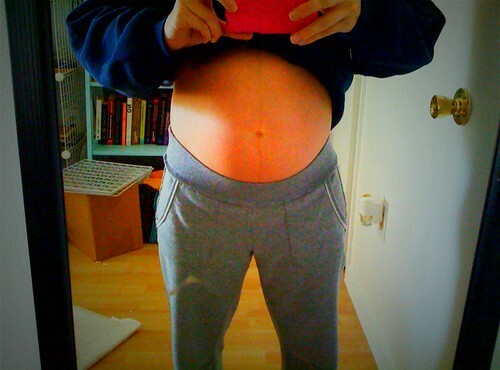 I officially no longer use my belly band and have very few things I actually fit in. I must say, I’ve been loving my yoga pants and sweats! All in all, we’re moving along wonderfully. We’re getting more and more excited to meet this little one!